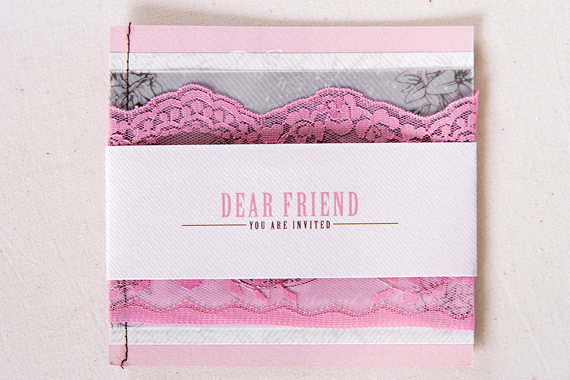 Today’s inspirational invitation displays all that is retro and romantic. 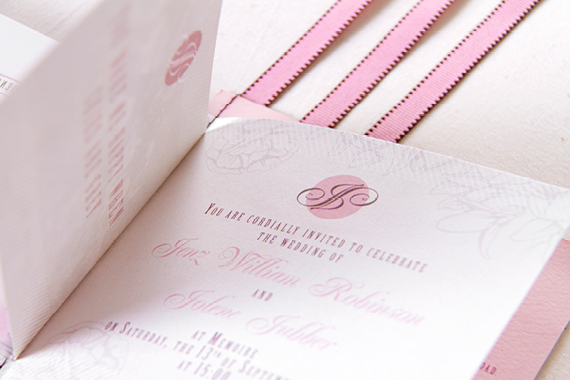 This retro romantic invitation from Chrystalace Wedding Stationery features hues of pink; from soft pastels & candy floss tints with hints of brown. 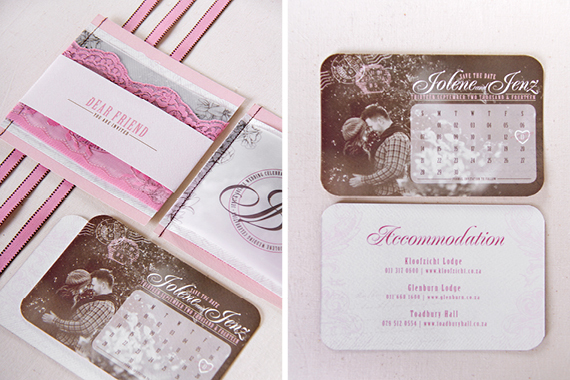 Jolene and Jenz wanted their invitation to be vintage and romantic, but also current. 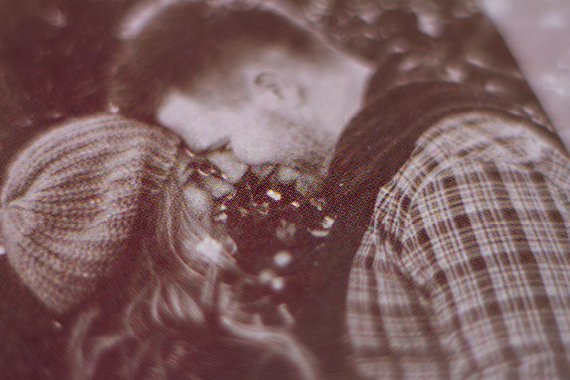 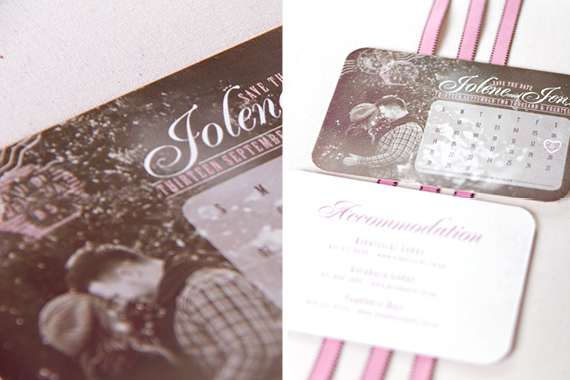 So, to achieve this fresh approach they added some pink elements with a photograph from their engagement shoot. 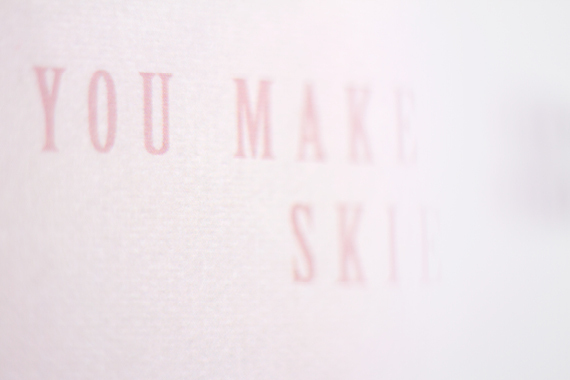 The modern script font with all it’s swashes and curls added to the romantic feel with a modern twist. 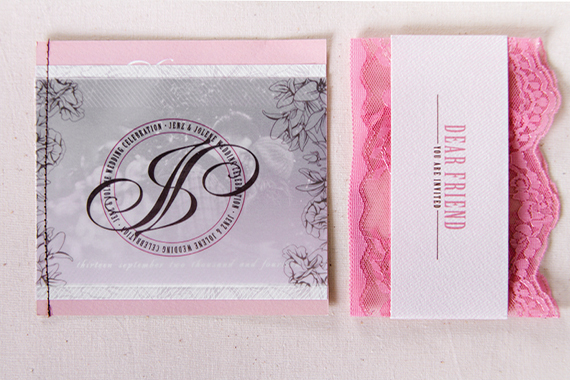 Their invitation consists of a stitched layered booklet and a custom lace sleeve that displays their guests’ names. 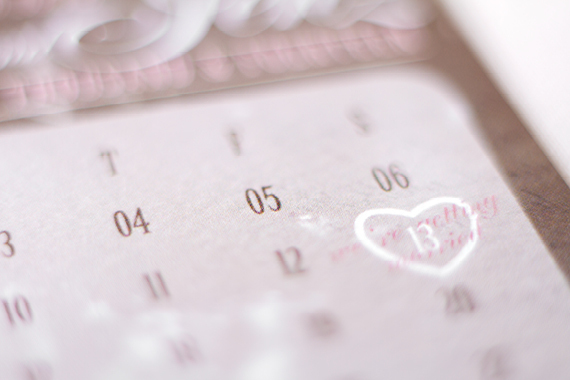 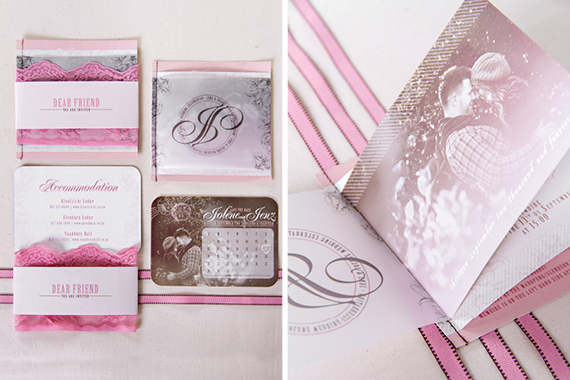 Have a look at the images from their retro and pink invitation.